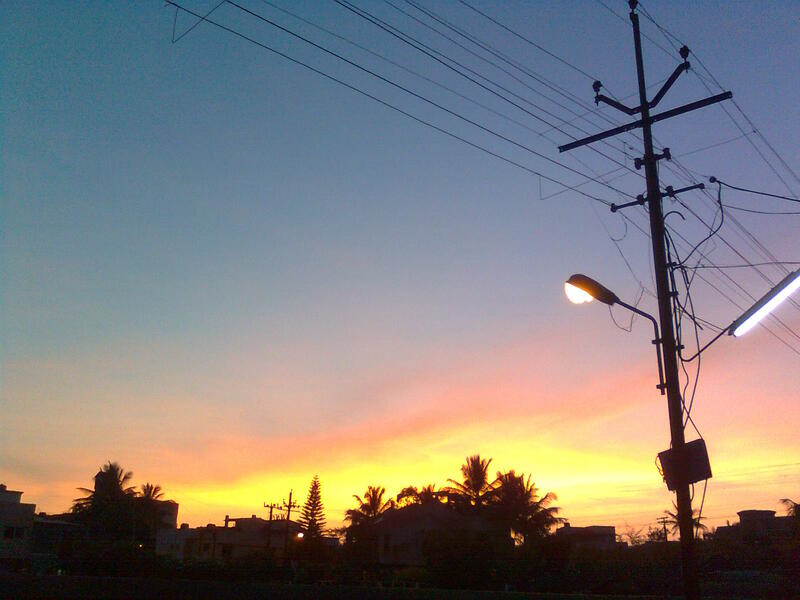 The sunset light stood out phenomenally in front of Street Light. At first I hated the street lights but later when I saw the photograph on PC I said wow! Day to day surroundings like this goes unnoticed but wondered on photographs! Do visit http://www.fundooshop.com/ to experience wonders!